National Canadian Film Day! 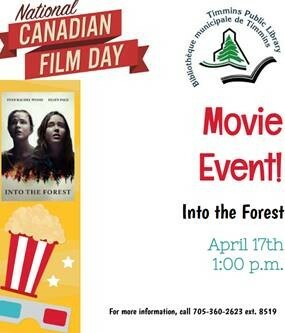 Celebrate Canadian Cinema! 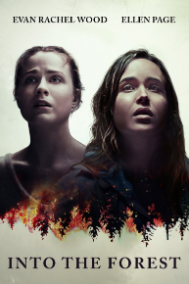 Into the Forest (2015) at 1:00 p.m.
Synopsis: In the wilds of the Pacific Northwest, two sisters (Ellen Page, Evan Rachel Wood) must fight for survival after an apocalyptic blackout leaves them without gas, water, electricity or cellphones. For more information on this free viewing, contact 705-360-2623, ext. 8519.